SEGUIN, Texas - UPDATE: Police have positively identified the man as local resident Johnny Felan, 40. The investigation is ongoing surrounding the cause and circumstances of Felan's death. ORIGINAL STORY: The Seguin Police Department temporarily closed the west side of Starcke Park Tuesday after the body of a man was found in the Guadalupe River. SPD and the Seguin Fire Department were called to retrieve the body of a man on the south side of Starcke Park. The man is believed to be between 25 to 35 years old. 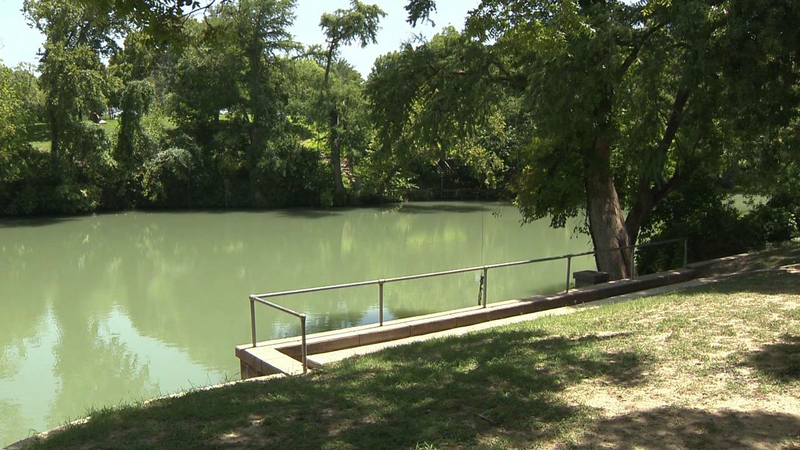 Officials said two kayakers were paddling along the Guadalupe River when they saw the body floating near the dam. Police said the man was approximately 200 pounds and was 5-foot-6 with several tattoos and short black hair. The body appeared to have been in the water for an extended period of time. Police are trying to identify the man and determine the exact cause of death.